I've been SO READY to blog all about this session for a while!! I've known these two as a couple for about 5 years, and have known Jodi for even longer! Jodi was definitely my icon in high school, and is still the sweetest pea to walk the earth! 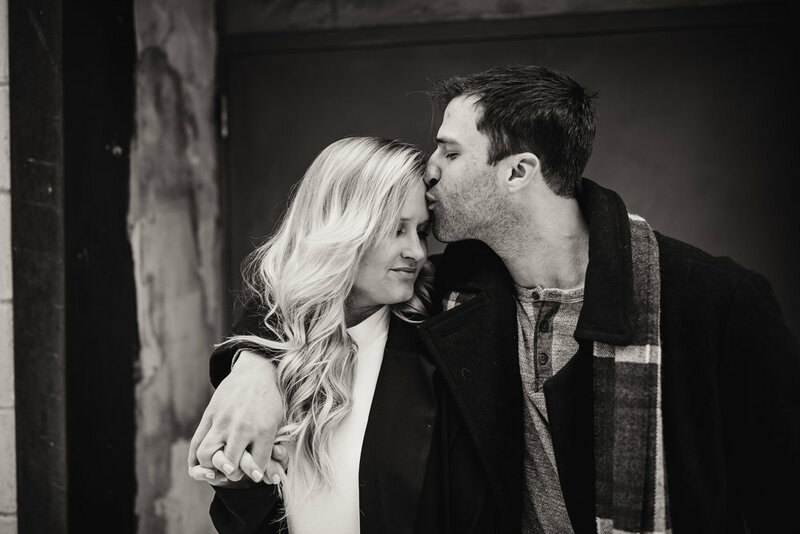 These two found each other in college in Iowa, and grew their love over the past five years and it's been a blessing to watch it grow. The have the CUTEST puppy named Scout, and she couldn't be there at the engagement session, but we'll definitely snag some pics with her on the wedding day in November. I can't wait to shoot their wedding in November in Dyersville at the most gorgeous church in Iowa, the Basilica. Then we'll mosey on down to Dubuque to party the night away. 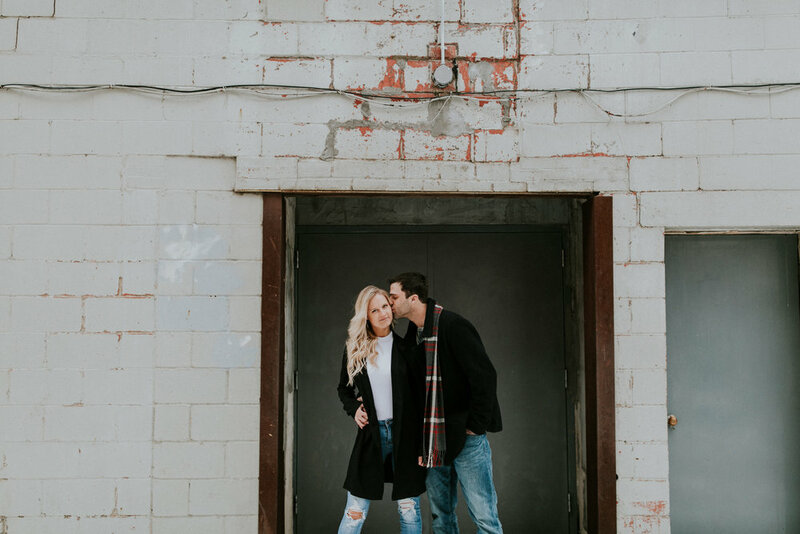 Jodi told me after their engagement session that she was nervous because Keaton doesn't really like taking photos, but they had a blast and couldn't wait to see the photos! 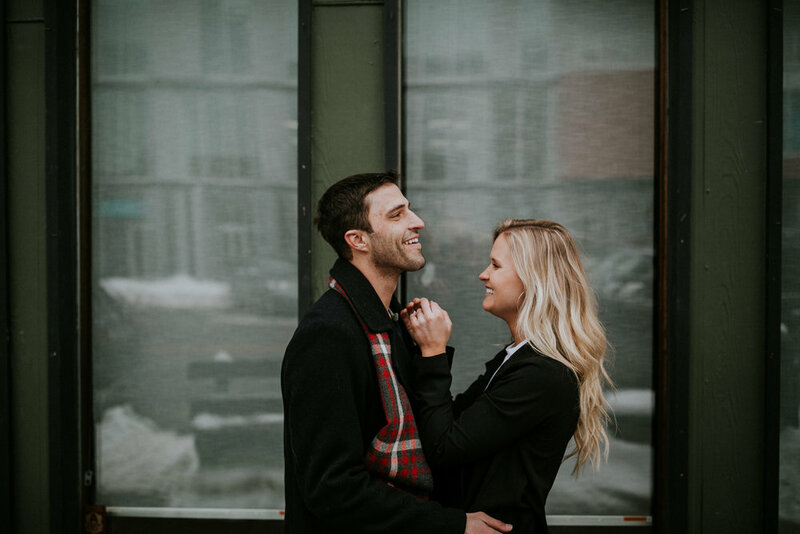 I got some REAL and GENUINE smiles out of this dude, and for everyone who says their hubby/fiance/BF doesn't like being in front of the camera, I promise they'll have a good time when you do your session with me! 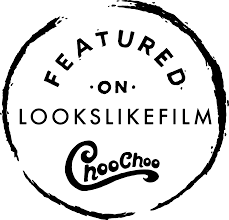 OK, go take a peep! You'll drool over her red dress! "I cannot get over how amazing our engagement photos turned out. I sent Grace several ideas and she took the ideas I had and went above and beyond what I had imagined. 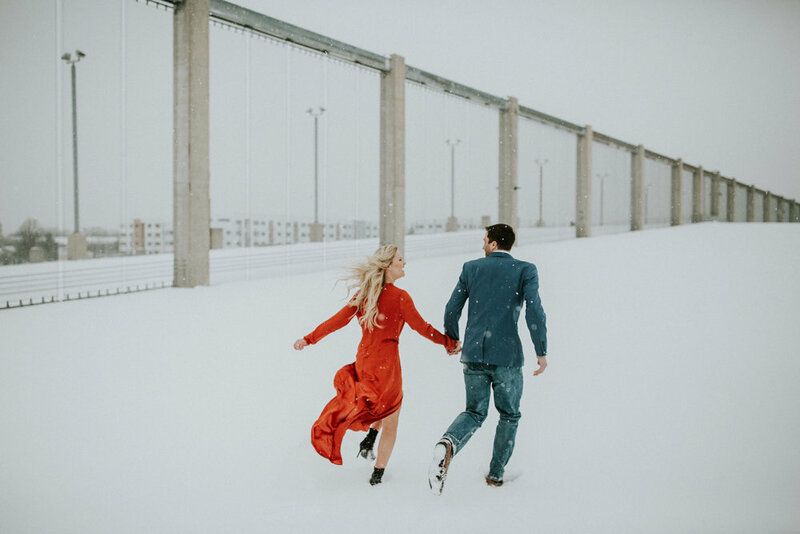 The morning of, she told me she had already went out and scoped out our locations to make sure everything was perfect since I wanted snow for our photos. 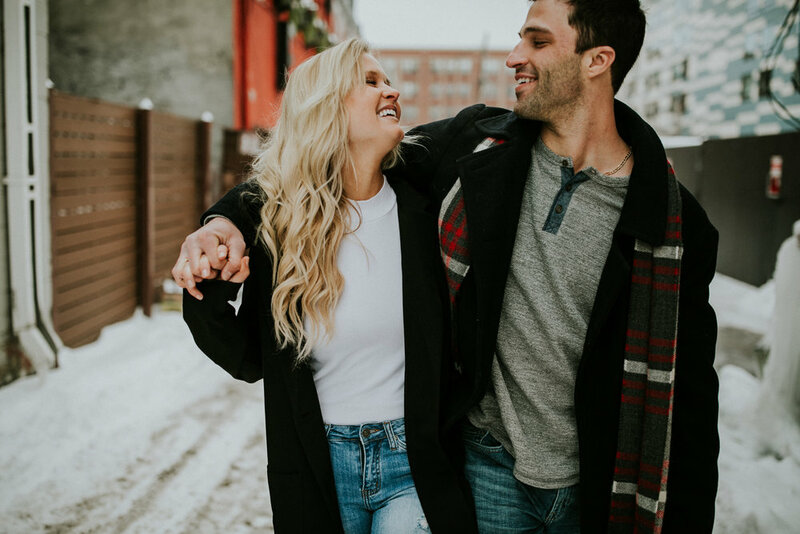 My fiance isn't one that loves to be in front of the camera and after our shoot, he looked at me and said, "wow, that was fun!" I think he was nervous about how to pose, etc. 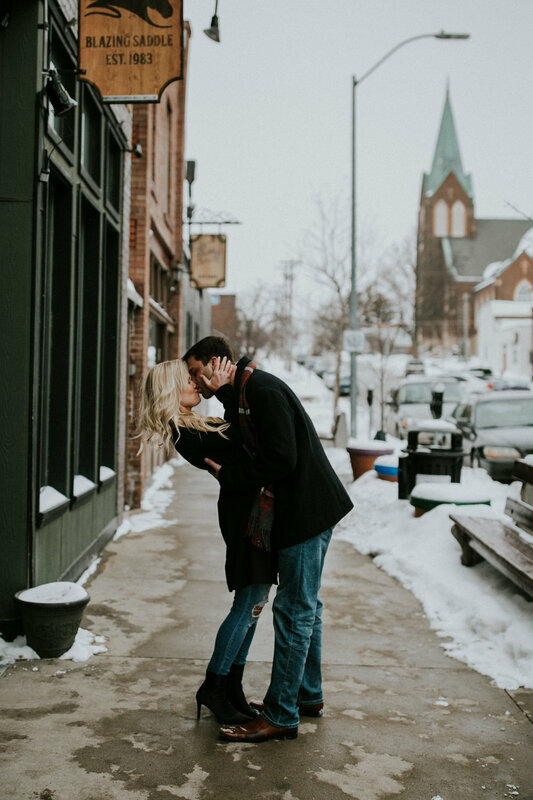 (like most guys), but Grace created a completely comfortable and fun environment and by the end of the shoot, my fiance was asking her to take more pictures of us sticking our tongues out in the snow (talk about making him feel comfortable)! It had us all laughing! She got my pictures back to me super fast- I couldn't believe the turnaround time (which is exciting for an anxious bride like myself)! We were so caught up in the moment that day, that it was so fun looking through all of the photos and remembering certain moments or what Keaton was saying to me that made me laugh. She captured our personalities and relationship perfectly and I appreciate that since we both live such busy lives, it will be nice to have these moments to look back on. 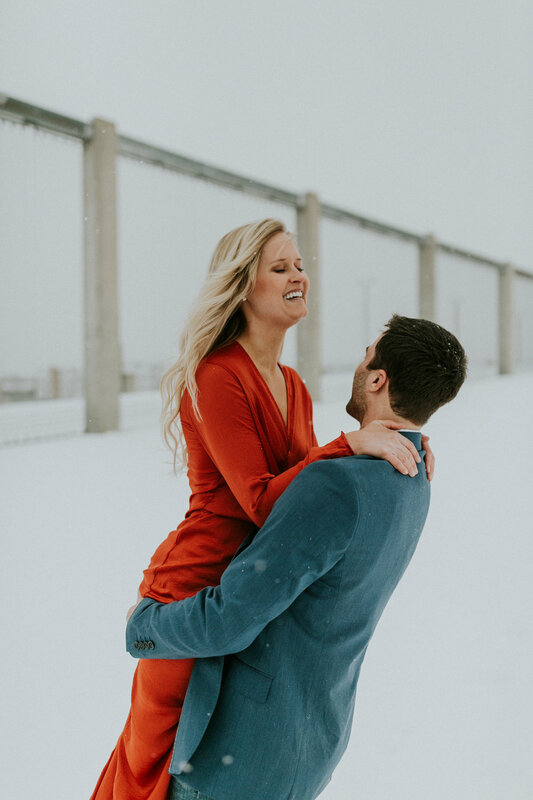 I am so excited for our wedding day and I wouldn't want anyone else to capture our special day other than Grace!"